There are seven billion people in the world. Even if you target the most populous country, China, you still limit your sales potential to less than 20 percent of the world’s population. In today’s business environment, you must have a plan to expand your brand abroad. Otherwise, you’re surrendering money to the competition. 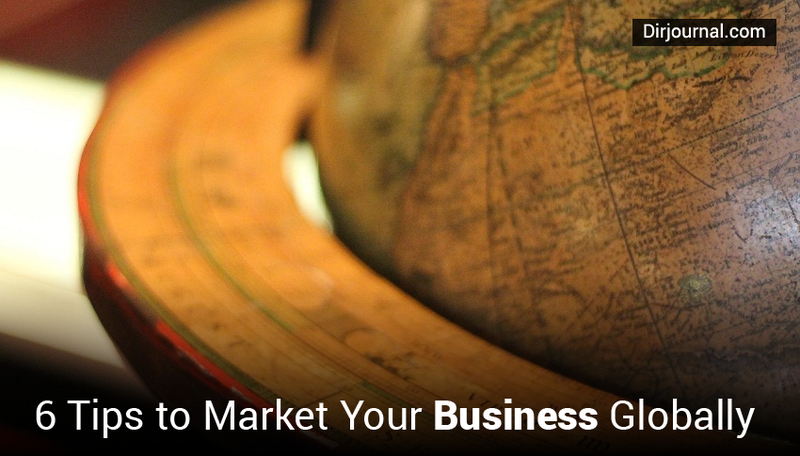 Here are six tips to market your business globally. No matter how old your business is, prioritizing international sales should be your next step. The sooner you expand your global interests, the quicker you’ll experience a spike in revenue. Of course, you may not sell as effectively in other countries at the start. Understand that every marketplace is different. One of the advantages of advancing your international business is that you’ll receive immediate feedback and statistics. You can study all this data to determine the strengths and weaknesses of your brand internationally. Then, you can adjust to a more profitable marketing effort in each new country. You may discover that you perform more effectively abroad than domestically. You can utilize this additional revenue to enhance your local marketing efforts as well. 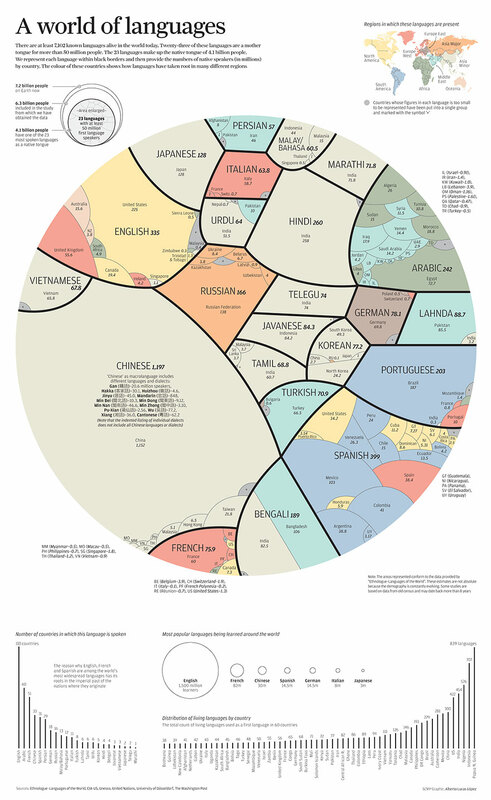 Learn about the popularity of languages across the world. You’ll notice that English is no more popular than Arabic and less utilized than Spanish. Recognizing this, you should plan to speak to potential international customers in their own language, not yours. They’ll be more receptive to the message because none of your marketing techniques will get lost in translation. If you’re unsure of the value of this strategy, think about Mark Zuckerberg. The Facebook founder recently presented his speech in Mandarin to his Chinese target audience. He did this to show the Chinese students that he’s serious about building a relationship with their citizenry. Tax and business laws in foreign countries are vastly different. You want to avoid surprises in this regard. Do your homework to determine exactly how much revenue you’ll cede to local tariffs. Also research the currency exchange rate, paying special attention to historic fluctuation. If there are tendencies, you can anticipate ways to enhance your profit when the dollar is weaker against the local currency. Not all the international revenue opportunities are sales-based, after all. Learning the language is a nice step, but you’ll need to do more. Every new country comes with its own culture and heritage. There’s simply no way for you to understand a new market as well as one of its residents. The smart play is to hire a staff who live in the target area. They’ll have a better grasp of the idiosyncrasies of the marketplace. Rely upon them to guide you in optimal marketing strategies for the region. Even with local employees in place, you’re still the one in charge. You’ll want to visit several times in the early days of your company’s expansion. It’s the best way to learn the local customs, and you’ll also get a first-hand look at how well your new team is functioning. New workers tend to paint a rosy picture. You can’t afford to take their word on the status of the endeavor. Make one of your appearances unannounced to see how your employees respond when they’re not expecting you. In the 21st century, social media is especially important. Many of your conversations with customers will happen via this format. You don’t want a language barrier causing communication issues, so you should keep in mind that other countries use websites other than Twitter and Facebook. In China, Weibo and Renren reign supreme, while Russians prefer VKontakte. Similarly, if you want to send money to India to refund or reward a customer, perhaps you can reach out to the customer about the transaction through some of the country’s most popular social networks like Zedge and LinkedIn. When you join these services, you’re going where your customers are. You’ll convert sales at a higher ratio, and you’ll develop stronger brand awareness by speaking with consumers in a format that’s more comfortable for them. Expanding abroad is a wise move for every business. You should start exploring the option immediately if you haven’t already done so. As you advance further in the process, follow the tips above to enjoy a nearly seamless integration into international markets.